One glance at this poster, one would immediately relate Rowan Atkinson aka Mr Bean to a slapstick humourist or someone who happens to have a hilarious face performing ridiculously stupid actions, stunts, facial expressions etc...you name it. 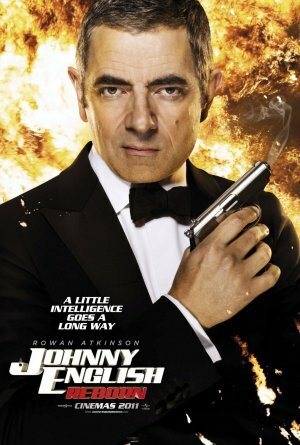 If it wasn't for WL, there's no way I would watch Johnny English Reborn in the cinema. Most of the comedies or parodies, in my opinion, is a waste of my time & money. I decided to give this movie a chance since I was immensely stressed the whole week & didn't even find time to release it. After all, it was a public holiday & I should let loose a little bit.